Controversial former Sunderland midfielder Didier Ndong is reportedly set to sign for French club Guingamp. Ndong, the Black Cats' club-record signing, was sacked by the club in September having gone AWOL in the summer. Since departing Wearside, Gabonese outlet iSport reported the 24-year-old had returned to his homeland to train with third tier side Libreville after he residency card had expired. Ndong was touted with moves to Torino and Benfica in the summer before Sunderland decided to terminate his contract with immediate effect. And there are now fresh reports that Ndong is close to sealing a deal with a new club at Ligue 1's bottom side on a 'multi-season' contract. 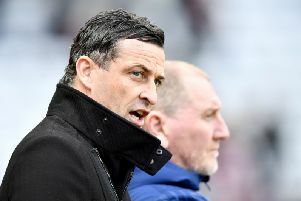 The report suggests Sunderland will receive a financial windfall of £3.5million should he return to France after leaving Lorient for the Stadium of Light in 2016. However, in an interview with the Echo in October, executive director Charlie Methven revealed why it won't mean a boost for January transfer coffers. He said: "So we had to sign off on an FFI (Future Financial Information agreement), which was our business plan and included how we would bring our finances under control. "Two of the assumptions in that were that Papy Djilobodji and Didier Ndong would leave the club. So them leaving does not mean there is money to spend in January. "For us to be able to bring in more players, our current wage outgoings will have to be reduced. It is as simple as that. "The Football League will be more lenient with contracts for the younger players because they can see while wages might go up, it is good business, it is responsible. "Taking on four players on 500 grand a year [without outgoings], would not be."